This may look like a weird contraption but it works... and it is easy enough to set up so I have used it many times with good success. 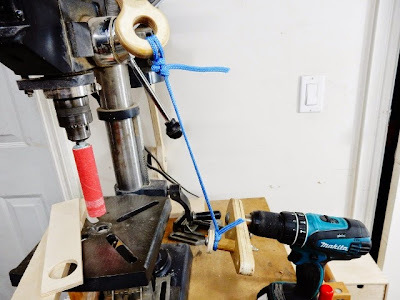 I wanted to try hook up my cordless drill to the handle of my drill press to make it work like an oscillating sander for the new spindle sanders I just made. If you want to make one I will walk you through the steps on how it's made. 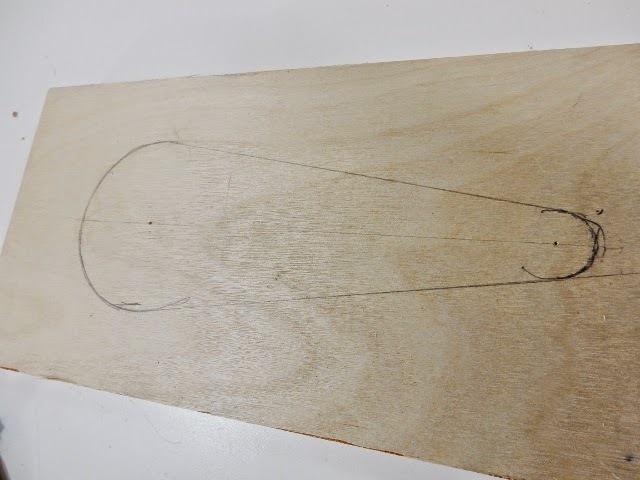 To make a wood crank I marked and cut some 3/4" plywood. This is the shape I came up with. Since I used a caliper for the 2 circles I used the marks for the centers so I can later drill these out for the bolts. 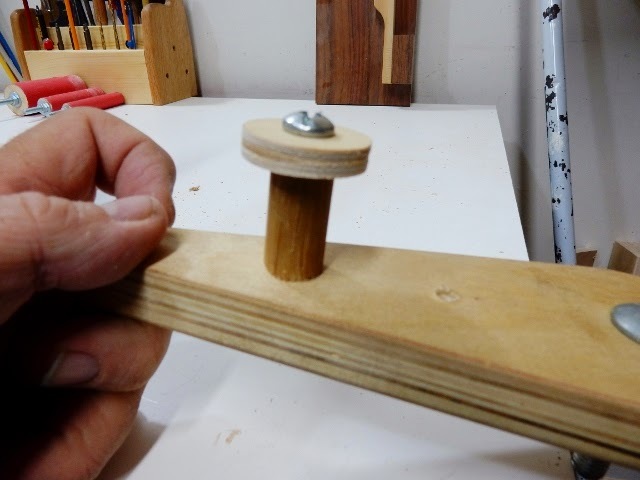 A dowel, a small wooden disk and a bolt are put together, this will be attached to the crank. It will be for the rope to hang on too. 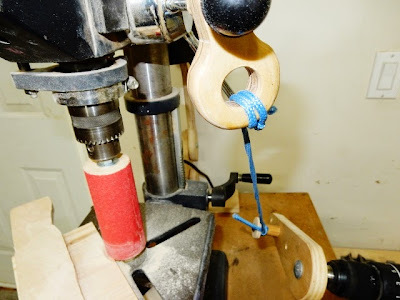 Here the rope is on the crank handle. 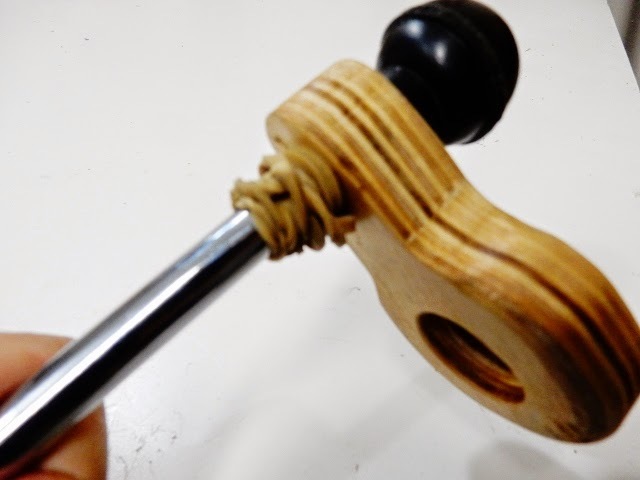 The dowel can be moved to different positions on the handle, this will help if you have to change the speed. 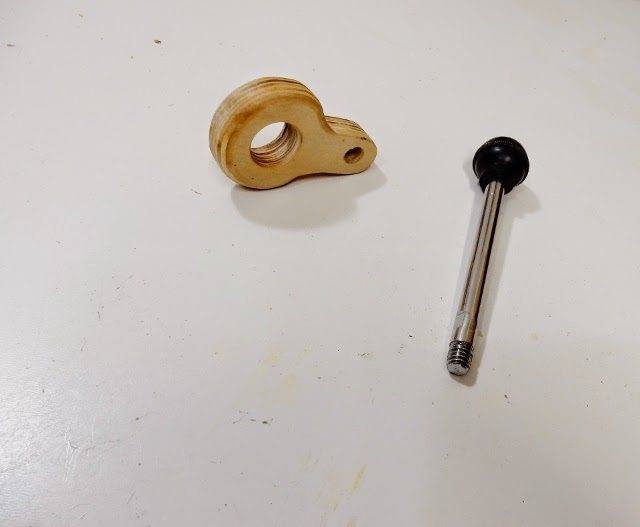 One handle from the drill press is removed and this wood ring is added. 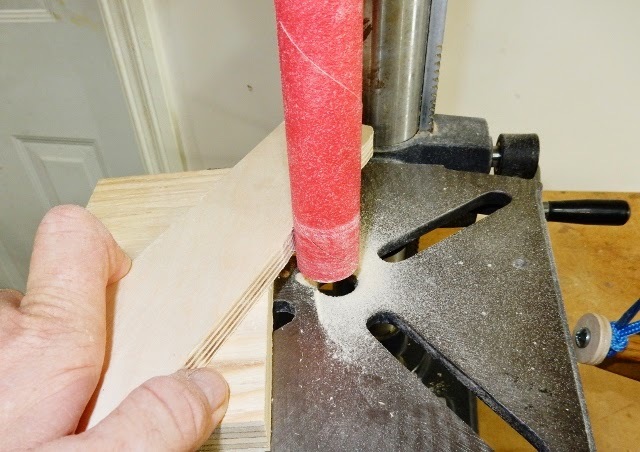 An elastic band is used so the wood ring will not slide. 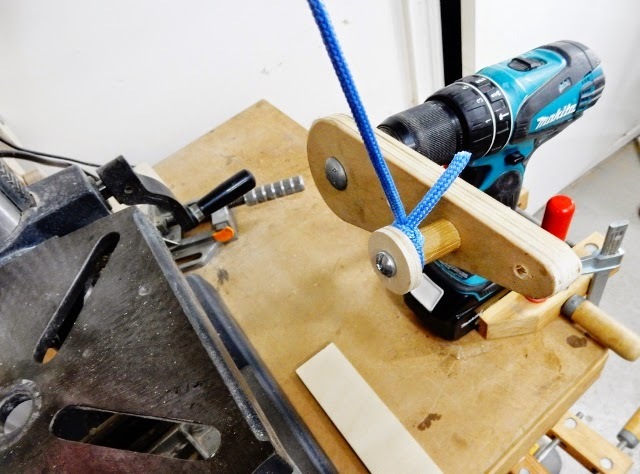 This will go back onto the drill press and the rope can be tied on. The cordless drill is mounted on the drill press table with clamps. I will use my drill speed controller to get the right speed. The system works on both forward and reverse. The drill is turning slow so it is very safe. If there is ever a problem all you have to do is tap the speed controller and the cordless drill will turn off. 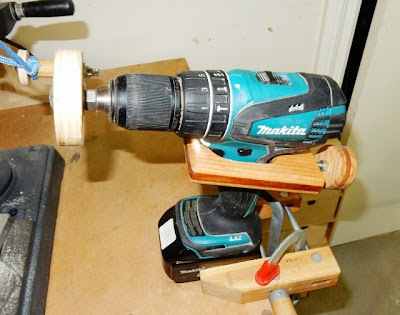 I tried and tested all my spindles and they all work fine. 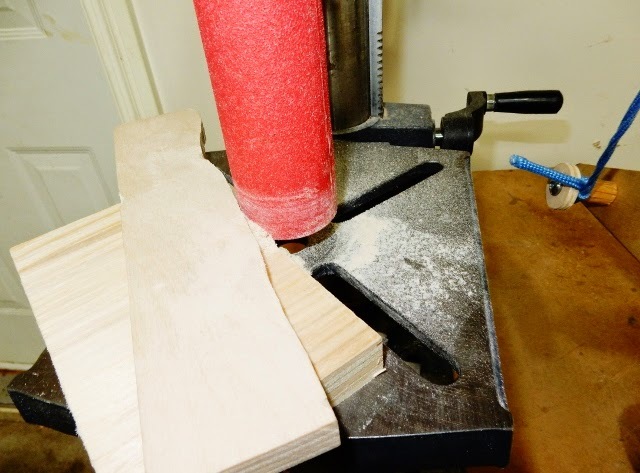 I am still trying to find out the best speeds and what works for different types and sizes of wood. I am glad you enjoy my posts, lots more on the way! Wow! I really like your instruction which is easy to see! I also want do the same thing! Thanks your post! Good luck with your build Tom. Your blogs are so addicting! It inspires me to tackle "harder" DIY projects but I guess I am not as patient as you are to see the projects through. Although some people may erroneously believe that this is not possible, but the truth is that it works. It is easy to use, easy to set up, and the writer has shown that you can actually use it multiple times with great success. He provided simple step-by-step instructions on how to get this done. Very helpful post, Kudos!